Be Free, Get Messy and Play! All I know is that the sun is out and the weather is warmer and I’ve seen little signs of spring around town. I am feeling a great need to feel free, get messy and go play. So I leave you with this bit of inspiration, and hope you find ways to get messy and play today, too. 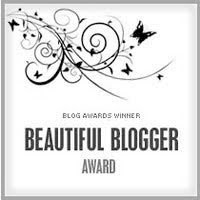 As a recipient of this award, I’m supposed to share 7 interesting things about myself and list some of my favorite blogs. You can read my 7 things in a previous post, and here are some places I like to visit: Artsyville, One Artist Journal, Creative Every Day, Fra(a)ing, Mildly Creative, Swirly Girl, Be…Dream…Play, I Love Plum, Hip Mountain Mama, and M Comme Maman. Happy day to you today, and always. I love the spaghetti technique! I painted like Pollock and kept the paintings in the shower, so I had another surprising effect. I had the most fun! But everything was covered with paint. I'm deeply honored Shannon! Sincerely! I can say for sure that you are one of my favorite blog I go to everyday to feel free, to be me! Some of my blog readers have tried your Spaghetti technic and they enjoyed it so much! And it gave them the opportunity to know your inspiring blog (and e-course!). Have a wonderful day dear friend! killer fun and i still love that song! Thank you so much, dear Shannon – I feel honoured that you like to visit me! Also a little guilty – because you may have noticed that I have been doing very little … ahem … decluttering. Oh dear, I think I am stuck! I keep on shifting things from one place to another. So for the moment I have stopped. What is going on, you think? If your course will make me experiment like without shivering at the amount of cleaning involved. I am all in!! !